Bethesda New Connexion Chapel was built in 1836 in an open field in Barn Close (Prince Consort Road now runs over the site). It opened on Good Friday 1836 when 1,500 - 1,700 people were present. 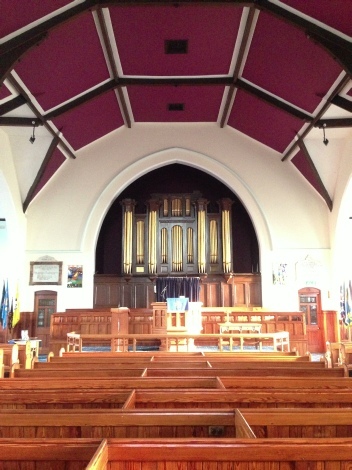 The Church served the neighbourhood for 60 years, with many notable preachers being stationed there, including Rev William Booth and his wife, prior to them leaving to form the Salvation Army. After 1890, it was realised that Gateshead was growing southward away from the River Tyne. Whitehall Road New Connexion Methodist Church was built by Mr Alex Pringle, who later built the Royal Victoria Infirmary in Newcastle upon Tyne, and along with a vestry and lounge was opened on 29th February 1896. 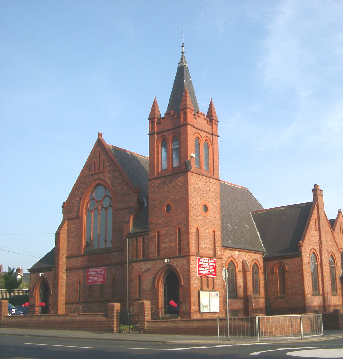 In 1907 the Methodist New Connexion, The Methodist Free Church and The Bible Christians joined together to form the United Methodist Church of which Whitehall Road became part. Then in 1932, Wesleyan, Primitives and United Methodist Churches became “The Methodist Church of Great Britain”. Alterations and improvement have been made to the premises over the years, notably to side classrooms and the stage, in order to facilitate room for the many activitiestaking place on the premises. The building is Gothic in the decorative style with terracotta and stone dressing. The main in external features are the large tracery window in the front gable, and the tower and spire at the corner. The church is built in the form of a cross, and originally held a congregation of 550. The roof is open timbered with cross beams. In 1897, the beautiful organ in Bethesda was removed, and rebuilt and installed in the site it now occupies at the front of the church. An old man was employed to pump the bellows by hand, and sat behind a curtain (where the wood screens are now). He often went to sleep during the sermon had to be wakened before the organist could play! The organ still serves us well to this day. The premises were lit by gas, mostly chandelier type with 6 gas mantles and globes. If the church became dark, during a thunderstorm for example, the Caretaker was in charge of a long pole with hook and taper, and it was his job to march down the aisle and light the mantles. During the First World War, the premises were used by the Military so services had to be curtailed but early in the 1920s electricity was eventually installed. Matthew - Aquarius the angel (or water carrier):Mark - Leo the lion, Luke - Taurus the bull and John - Libra the eagle. The twelve constellations of the Zodiac are the twelve disciples on the top circular window around the cross. The two letters A and O in Greek style are Alpha and Omega; the “first and the last”, or the “beginning and the end”. (Unfortunately Matthew’s medallion was broken many years ago, and the replacement is not as clear as the original). 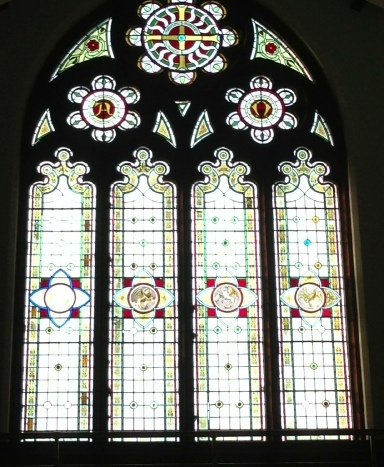 The beautiful St. Margaret stained glass window, (made by Thompson & Smee of Gateshead) was purchased in memory of Mrs. Margaret Greener, by her husband, a prominent coal exporter and shipbroker. 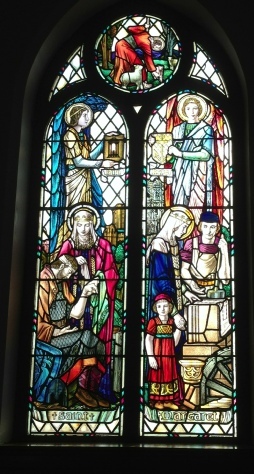 There are at least six St. Margaret’s, but this window depicts St. Margaret of Scotland (1046). She was noted in both private and public for her active participation in the advancement of religion by spiritual and temporal care of the people - hence the window shows a small child, the plans for church building and working conditions in the background. The depiction of Faith, Hope and Charity, signifies her life’s work. 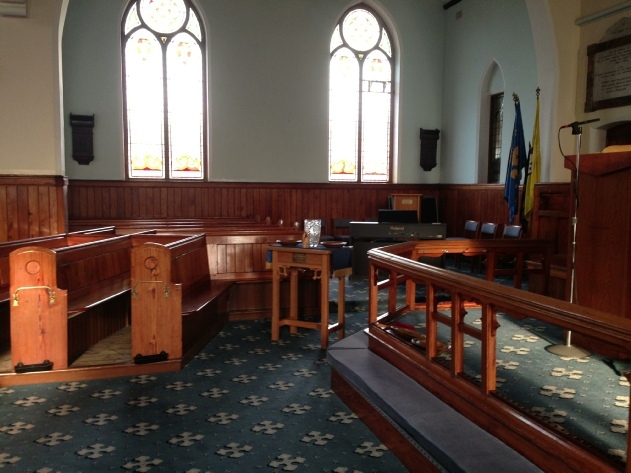 In 1982 the church was refurbished and pews were removed from both transepts at the front of the church. The East transept was turned in to a Prayer Corner, which can be used by anyone who would like to sit quietly in prayer, or ask to be prayed with. This corner is also used to display food being collected for Gateshead Foodbank. 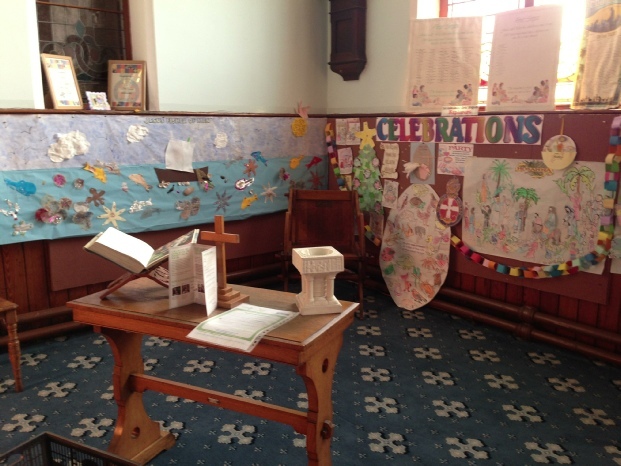 The West transept was turned in to a Children's Corner, where work produced by youth organisations could be displayed. 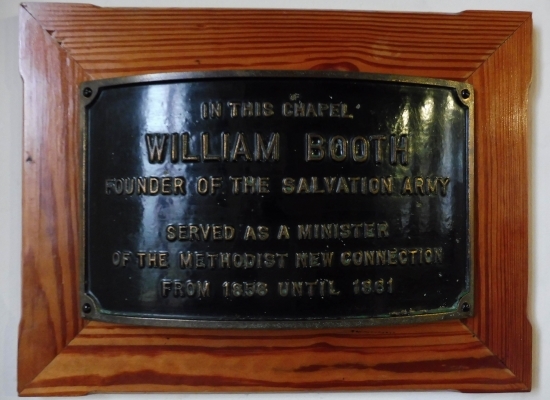 This plaque was originally fixed to one of the pillars at the entrance to Bethesda Chapel and records that William Booth, founder of the Salvation Army, was a minister there from 1858 to 1861. 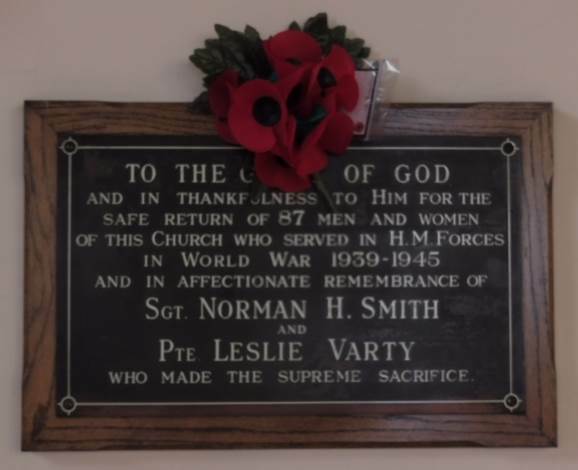 The plaque was given to Gateshead Council for safe keeping when the chapel was demolished in the 1960s during the redevelopment of the area opposite the old Town Hall, then in February 2009 presented to Whitehall Road because of our links to Bethesda. 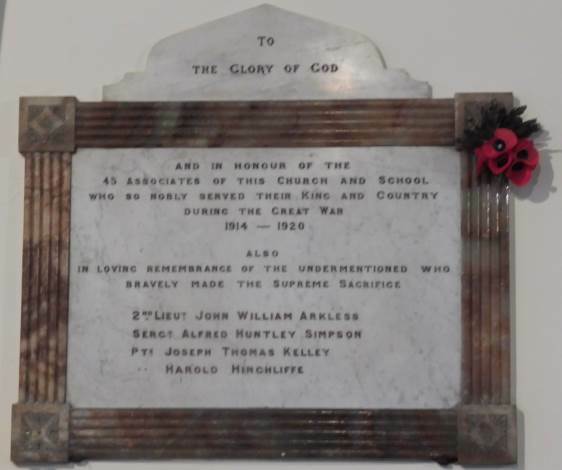 2nd Lieutenant John Arkless; Sergeant Alfred Simpson; Private Josepth Kelley; and Private Harold Hinchcliffe. It is interesting to note that the memorial records that the war continued until 1920. 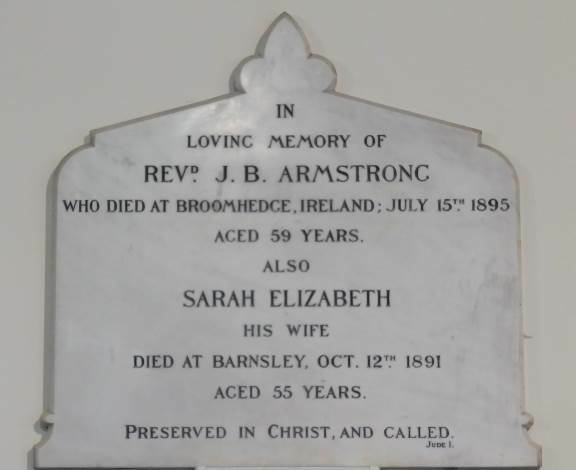 Our other large memorial commemorates Rev JB Armstrong, who was a minister at Bethesda, accompanied by his wife Sarah. We know very little about his time in Gateshead, and he died in Broomhedge in Ireland in 1895 aged 59, surviving Sarah by a little under 4 years.